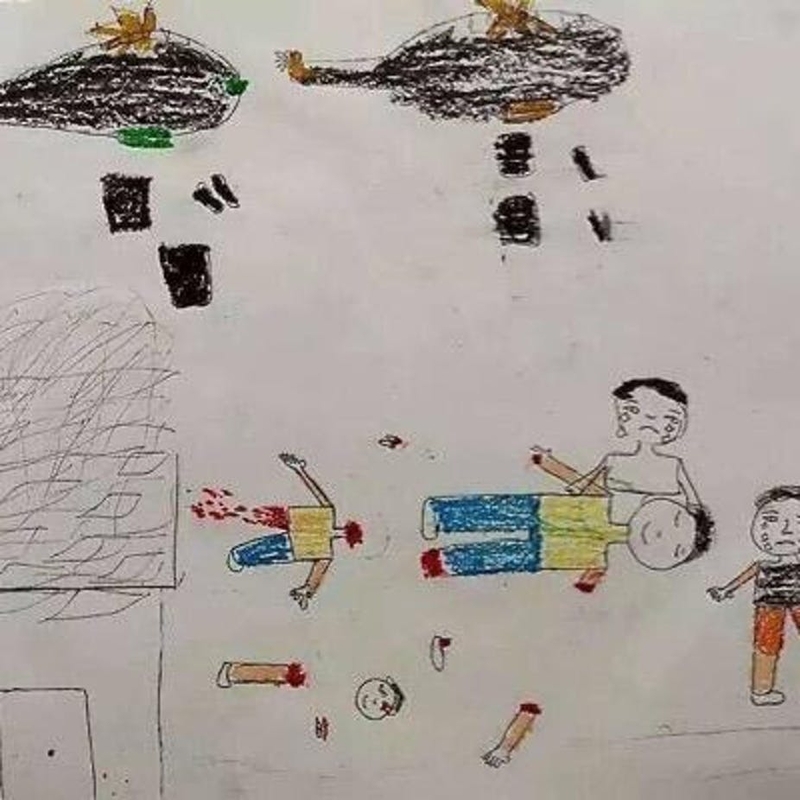 When a seven-year-old student in eastern Aleppo was asked at the peak of the bombardment campaign by the Assad regime in 2015 to draw a picture, he did not draw children playing, nor did he draw a blue sky or a smiling sun. Instead, Ahmad drew helicopters dropping barrel bombs, houses blazing in fire and mutilated dead children in blood. In his drawing, the dead children had smiles on their faces, while those alive were in tears. For this little boy, a pen and a paper were the only tools that enabled him to express his traumatic recollections of a childhood lost. In Syria, its neighboring countries and all the way to Europe, there are millions of Syrian refugees and displaced individuals like Ahmad who have cried and will continue to cry without any opportunity to express their trauma, let alone receive any support and therapy to overcome the nightmares of war, loss and forced displacement. The near-disappearance of Syria from the news does not mean that the war has ended. In just the first few months of 2017, more than 250,000 Syrians registered as refugees, bringing the number of Syrian refugees to more than 5.1 million. Fifteen Syrian refugees, including three children, have been found frozen to death in northern Lebanon. They lost their lives as they attempted to cross into Lebanon from neighboring Syria. All countries bordering on Syria have limited immigration, essentially closing their borders to refugees. Now, seven years into the brutal Syrian crisis, the exact scale and impact of psychological trauma, mental health challenges and PTSD on both children and adults are not well-known, nor are they prioritized by local and international aid agencies, relief organizations and governments. But we know the psychological toll of the conflict is significant. According to Ana Moughrabieh, a Syrian-American critical care specialist who continues to help fellow colleagues in Syria’s Idlib province via telemedicine, a new trend has emerged among women and teenagers. Every few days, one or two women and teens are admitted to the local hospital after a suicide attempt by ingesting insecticides. The insecticide is known locally as “gas pill” and leads to multiple organ failures, causing a painful and slow death. As a doctor who spent the last six years providing medical relief in Syria, I believe that the world should pay attention to the future of Syria by lending a healing hand to its traumatized children. If we don’t, we will have to face the ugly and unpredictable consequences in the years ahead. In the north, more than 220,000 civilians have became displaced in Idlib province in the past few weeks after an orchestrated campaign by Assad troops and Russian jets. There are 2.5 million people in Idlib, half of them internally displaced from other cities. In the south, 17 patients, children among them, died while awaiting evacuation from besieged Ghouta. More than 400,000 civilians are still under siege by their own government for the sixth consecutive year. The regime continued to bomb civilian areas with conventional and sometimes chlorine bombs. Every day there is a new list of dead civilians and children that no one pays attention to except for the local activists. To many Syrians, there is a sense that the world has deserted Syrians. The resulting depression, PTSD, suicidal tendencies, severe aggression and other mental illnesses that result from these horrors are invisible wounds that are not being detected early enough, let alone treated efficiently, in Syria and beyond. The longer they go untreated, the more amplified are the impacts. Mental illness remains a taboo across the world, especially in Syria and the Middle East where patients and their families are afraid to seek treatment fearing that they will be labeled as crazy, or “Majnoon” in Arabic. Often these people are shunned by their communities and spend their lives struggling with minimal support. There is only one operating mental health hospital in Syria where people with acute psychiatric conditions are treated. Even before the crisis, mental hospitals were more like prisons than real hospitals. There were only two public psychiatric hospitals. One is located in a rural area outside Damascus but now operates with limited capacity because of security concerns. The second one, in Aleppo, has closed. In the neighboring countries of Jordan, Turkey and Lebanon that are host to over five million Syrian refugees, psychosocial support and psychiatric care are predominantly privatized. The situation is compounded by a severe shortage of psychiatrists, psychologists and social workers. M.K. Hamza, a Syrian-American psychiatrist who volunteered in multiple medical missions to Lebanon, Jordan, Turkey and Greece, described a new syndrome to illustrate the extreme psychological trauma that affects Syrian children. In 2016, he called this human devastation syndrome. According to the same report, more than 45 percent of Syrian children refugees suffer from PTSD, and many suffer from other mental health problems like depression and anxiety. Many of these young people are at high risk of becoming drug addicts, prostitutes and extremists themselves. There are even reports of criminal organ trafficking and illegal adoptions run by international gangs preying on vulnerable Syrian children. In Lebanon, a small country of five million that’s now home to over 1.5 million Syrian refugees, 16-year-old Abed is among the very few Syrians who receive therapy and counseling from a local nongovernmental organization called Art of Hope that helps alleviate PTSD and trauma through art therapy and vocational training. Art of Hope tries to bring some level of normalcy, dignity and belonging to Syrian children by engaging them in activities like art and craft workshops and addressing their emotional trauma. According to Tara Kangarlou, the founder of the organization, the teenager was forced to witness beheadings in his hometown of Raqqa, where ISIS also amputated his hand. Abed currently suffers from depression, guilt and aggressive tendencies. During one of the therapy sessions, Abed told his counselor that it may be better if he returns home to join ISIS – expressing remorse that perhaps it was his fault that ISIS amputated his hand. As the number of out-of-school children looms both inside Syria and in host countries, these invisible wounds won’t be healed unless large humanitarian groups and U.N. agencies team up with local and grassroots organizations inside Syria and out. They need to address the mental health and public health challenges in parallel with educational programming. In the absence of adequate leadership and security, I believe terrorist groups will fill gaps and prey on vulnerable recruits. They do so by providing these children and teens with basic necessities, but most importantly a sense of dignity, belonging and purpose. I believe that treating these wounds would be an investment that will pay in the form of counterextremism and reduction of conflict and hostility. An absence of treatment is damaging to the children and also to society. Nations could also develop telemedicine counseling to fill the gap. On a grassroots level, host countries should engage in training of local trainers and empowering Syrians to detect early signs of depression, anxiety and suicidal tendencies. In spite of the overwhelming trauma, Syrian children are so resilient. They smile, play and adapt quickly in the refugee camps and even under siege. The same child who drew a picture of death and bombs will be drawing flowers, rivers, butterflies and happy faces after a few sessions of art therapy. He can grow up to become a doctor, a teacher, an engineer or even a president. It is incumbent on us to provide him with that chance. 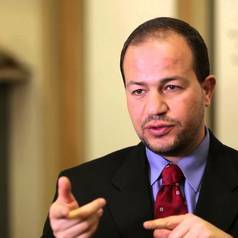 M. Zaher Sahloul is a senior adviser and past president of the Syrian American Medical Association.